The Wellbeing at Work Event returns to Dubai on 20 February this year. Building on the success of the 2017 version, the event promises to provide HR and business leaders the latest wellbeing and employee happiness developments and successes that are enhancing individual and organisational performance in companies across the Middle-East region. According to organisers, the ultimate goal of the Wellbeing at Work Event is to “equip businesses with the tools to introduce or improve wellbeing programmes in the workplace”. It’s an important event, as corporate wellness is helping organisations to attract and retain talent, reduce absenteeism and create happier and healthy workplaces. Of course, we know that’s probably not enough to convince you to attend. With that in mind, here are a few more reasons you should attend. As was the case in 2017, Wellbeing at Work has a stellar line up of speakers. Among those who’ll be gracing the stage this year are Brian Heyworth, Global Head of Client Strategy, HSBC; Julie Miller, Director of Compensation & Benefits, Middle East, Africa & Turkey, Hilton; and Dr Haitham Jouher, Deputy CEO, Chief of Corporate Excellence at Safwa Bank. 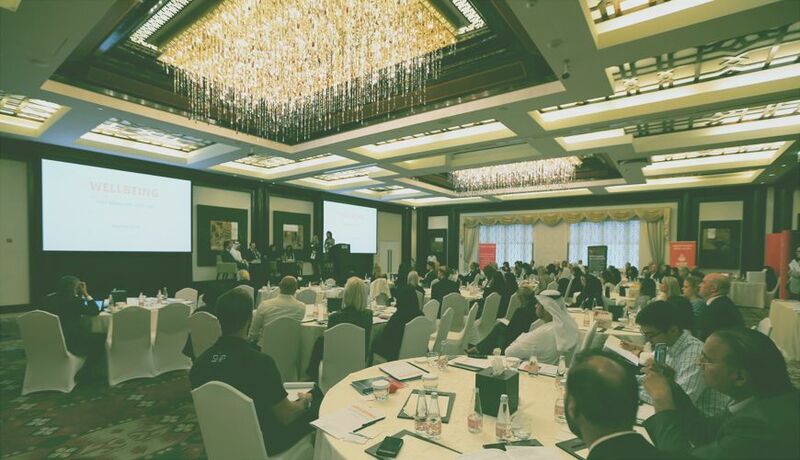 Other speakers come from some of the UAE’s most highly rated companies, meaning attendees will have plenty of relevant knowledge to draw from throughout the event. No matter how good the speakers at any conference are, there’s only so much you can take from individual talks. As an attendee, you can sometimes get far more from more hands-on sessions that allow you to interrogate a topic in depth. Wellbeing at Work will include exactly these kinds of discussions, presenting you with plenty of opportunities to get to grips with a wide variety of wellbeing topics. Key to the success of any event are the networking opportunities. Not only do they give attendees the chance to meet others in their field, they’re also a chance to share knowledge from their own organisational experiences. Wellbeing at Work will feature networking opportunities throughout the course of the day, from before the speakers start to the end of the day. After a full day of talks, workshops, and networking opportunities it would be a shame for conference attendees to be sent straight home the moment the conference ends. Fortunately, Wellbeing at Work will end with something pretty spectacular. At the end of the day, employees can congregate on the lawns at The Palace Hotel to watch the fountains and enjoy plates of canapes.